All of our guest rooms feature convenient amenities designed to make your stay a great experience. 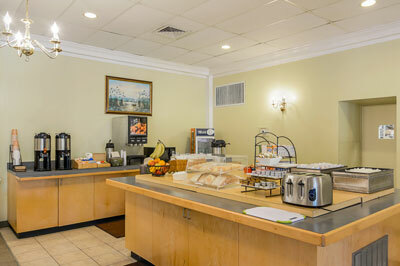 Our comfortable guest rooms are equipped with high-speed Internet access, and 42 inch flat-screen TVs. 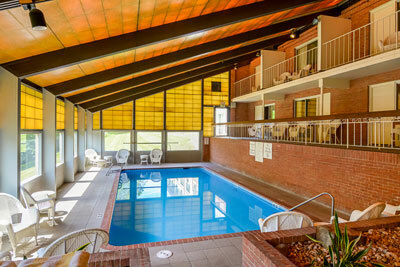 Relax in our indoor heated pool and wake up to a delicious Free, Hot Continental Breakfast. 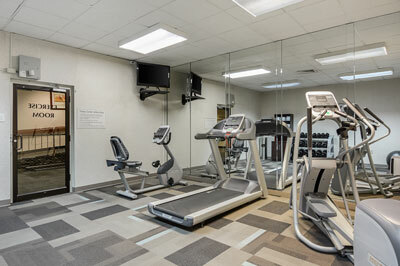 Pet friendly rooms are available in the second building. Accommodations include queen bed rooms, king size bed rooms, handicapped accessible rooms, as well as executive suites complete with relaxing whirlpool baths. Poolside rooms are also available for a hassle-free experience with the kids and elevator access allows easy entry to upper & lower floors. Provided in-room amenities ensure you arrive at your destination relaxed and refreshed. Forgotten items or special needs will be gladly taken care of by a member of our caring team. Within walking distance to River Riders Family Adventure Resort for family fun. *Indicates a fee is associated with this amenity.